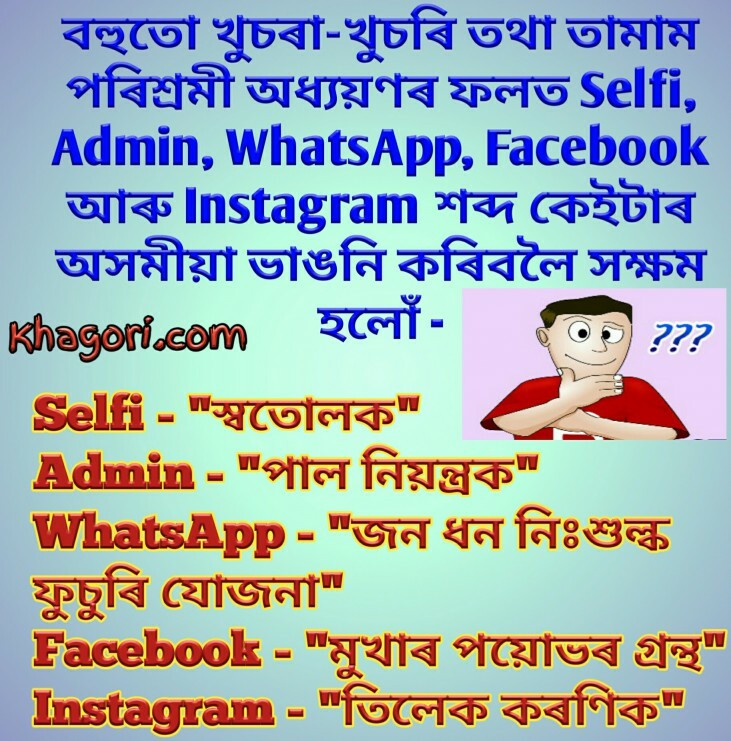 Here in this post you will find some best Funny Assamese Koutuk 2018. These Assamese Jokes are fresh and new, that you, the viewers will enjoy with. এনেতে aeroplane ত announcement - প্ৰিয় যাত্ৰীসকল, কোনোবাই এই পৰিস্হিতিৰ পৰা বাচিব পৰা উপায় জানে নেকি ? পেৰাচুট্ (parachute) কম আছে ! চাল্লা, মোৰ প্ৰতি টোপাল তেজে তেজে বৈ আছে চুড়ান্ত level, তথাপিও মই কিয় সকলোতে fail. WhatsApp - "জন ধন নিঃশুল্ক ফুচুৰি যোজনা"
Facebook - "মুখাৰ পয়োভৰ গ্ৰন্থ"
Hothat botahor prakopot akakh meghachanna hoi uthil. Poristhiti bikhom, ene khomoyot aeroplane uri thakiboloi kothin aaru landing koriboloio kothin. Enete aeroplane ot announcement - Priyo jatrijhokol, konobai ei poristhitir pora basibo pora upay jane neki? Loge loge aeroplane khonot jatri hisape thoka baba ejone maat logale - Moi jano, kintu dhyanot bohibo lagibo. Tar pisot, aeroplane pilot or phalor pora aakou eta announcement aahil - Baba, aapuni dhyanot bohi bosar upay korok, aamar jatri anujayi eta parachute kom ase ! Supondiye blood group test korale. Salla, mor proti topal teje teje boi ase suranto level, tothapio moi kio khokolote fail. I always try to publish some selected standard Assamese Jokes. These best jokes are only for you viewers. Please Like and Share the post. Your support makes me motivated to do so. I am trying to do the best only for you viewers. Thanks keep visit.